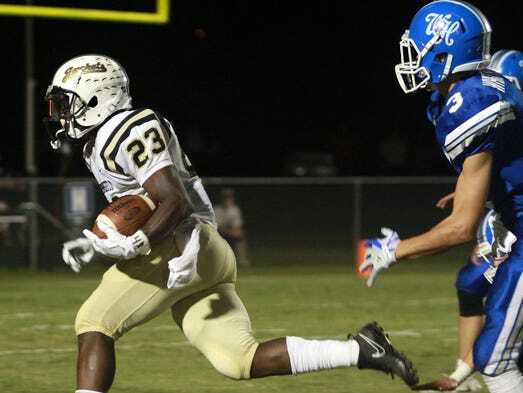 The following interview was conducted prior to the TSSAA Class 4-A playoffs. 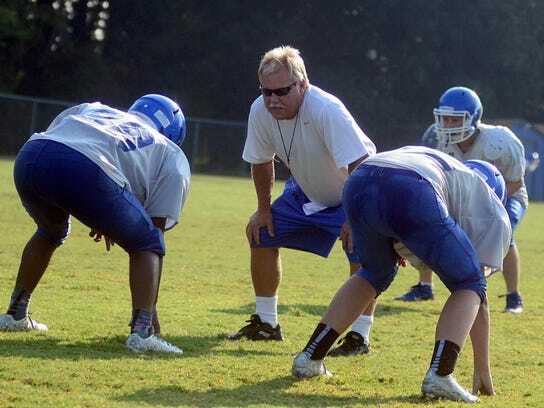 White House football coach Jeff Porter is in his 31st season at the Sumner County school. The Blue Devils finished 10-0 in the regular season after going 0-10 in 2016. Porter, 57, is a Gallatin High graduate. He has been married to wife Elizabeth for 29 years. They have two daughters Haley and Lacey. He also has two grandchildren. 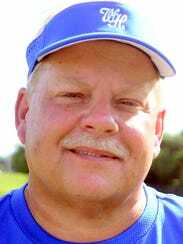 The Tennessean’s Tom Kreager recently conducted a Q&A with Porter prior to the Blue Devils’ first-round playoff game with Chester County. As a coach, you had never had an 0-10 season before 2016. In fact, White House has been very successful under your tenure. How did you handle the 2016 season? Who did you lean on for advice? What did you learn about yourself as a person and a coach last year? What advice do you have for other coaches that are going through through similar seasons? Who have been your coaching mentors in your tenure and what have you learned from them? What do you enjoy most about being a high school football coach? What is the toughest part of being a high school football coach? Porter: “The toughest part of being a high school football coach is that it can be 24/7 365 days a year and often times when spending time doing your job, it can take away from being everywhere I want to be with my own children and their experiences. I am thankful for a Godly wife who helps me on our journey as we make decisions and prioritize where I should be. I do better now as an older coach than I did as a younger coach. I wish I could do it over. I would do it different and do it better by keeping God first, my family next and then my job. After the 2016 season, did you change anything about how you run the program and if not, did you question changing things? Porter: “After every season whether you are 0-10 or 15-0, you meet as a staff and evaluate what we have done well and what can we improve upon. The biggest thing from last year was just that we, our players and coaches had to be hungry again for success and be willing to work for it . As far as program changes — not any. Our core beliefs remained the same. We just had to be willing to sacrifice more. We just wanted to know going into Week 1 that we had done everything possible we could to prepare for the moment. The greatest feeling as a coach is to know that a team is focused and zoned in before they take the field. Whatever the result, we can accept it. What has changed on the mindset of this year’s team from a year ago? Porter: Our seniors are really good people. They care greatly for others. Our team has found the unique ability to play for someone else other than themselves. Our school lost a student to cancer in the spring and I think it has affected our entire school. There is tremendous unity in our student body and that starts with the example of our senior class in our school and our football seniors have been quiet, but solid leaders in our program. We have always said for many years that we want our worst experiences to be on the practice field and not on Friday night. Our kids believe that and respect what is thrown at them during the week. Our players have handled adversity through numerous season-ending injuries for several of our starters. Our players have inspired their coaches. They have been resilient. It is always next guy up. They just keep playing. Since we did not play a region game till Week 5, we had a bye in Week 3, our team has been in a chase mode all season. Our players have been chasing all season and they only happens when players believe that. Since 1992, White House had made the football playoffs every year until 2015. Getting back this year, do you have more of a sense of just how hard it can be to get to the playoffs? Porter: “Missing out the past two seasons will humble a person, coach, player and a program. If it humbles you, then that is good because you know you have hope. If it does not humble you then you need to look in the mirror and self examine. Up until 2015, our school had made the football playoffs 30 of 31 years. It was really easy to take making the playoffs for granted. I think 2015 and 2016 humbled all of us. We are not where we are right now without being where we have been the past two seasons. I hope we play Friday night with an urgency of thankfulness to be back in the playoffs because it had been 1,071 days until we qualified in Week 9. We just want to win Friday and stay in it seven more days.